Hope you’re hungry. 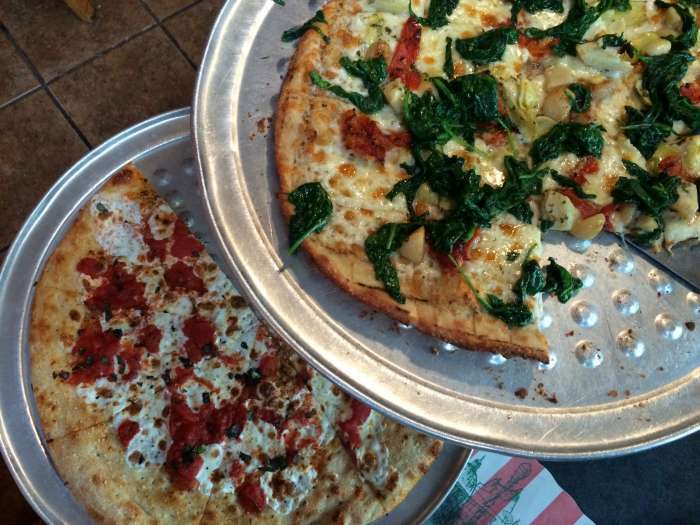 Here are the 18 best pizza spots in Charlotte. 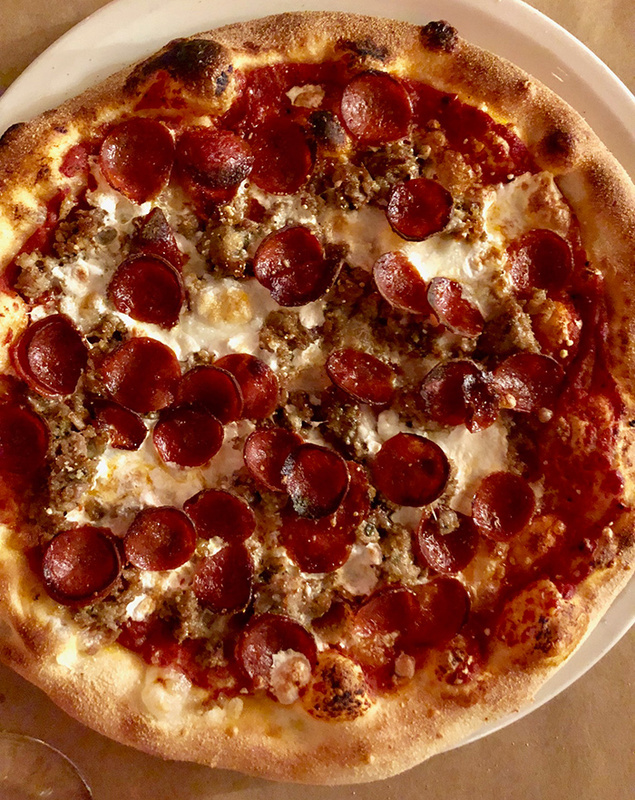 Owner Grant Arons is so obsessed with replicating authentic Neapolitan pizza, he makes his crust with water imported from Italy for its exact pH balance and mineral content. He also imports Polselli type 00 flour, San Marzano tomatoes and real buffalo mozzarella. Doesn’t get much closer to the real deal. 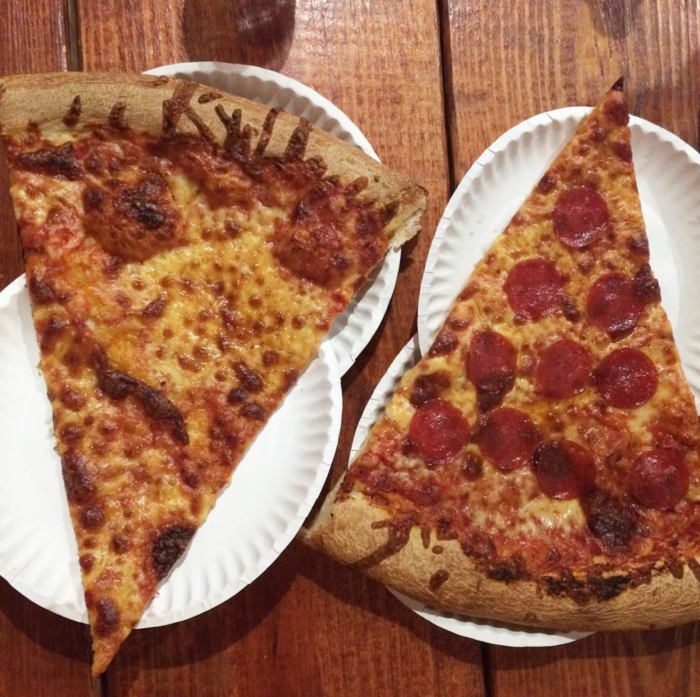 Benny’s serves giant slices of its behemoth 28-inch pies all day and into the wee hours of the morning (until 3 a.m. on Fridays and Saturdays) making it a mandatory late-night stop after last call. 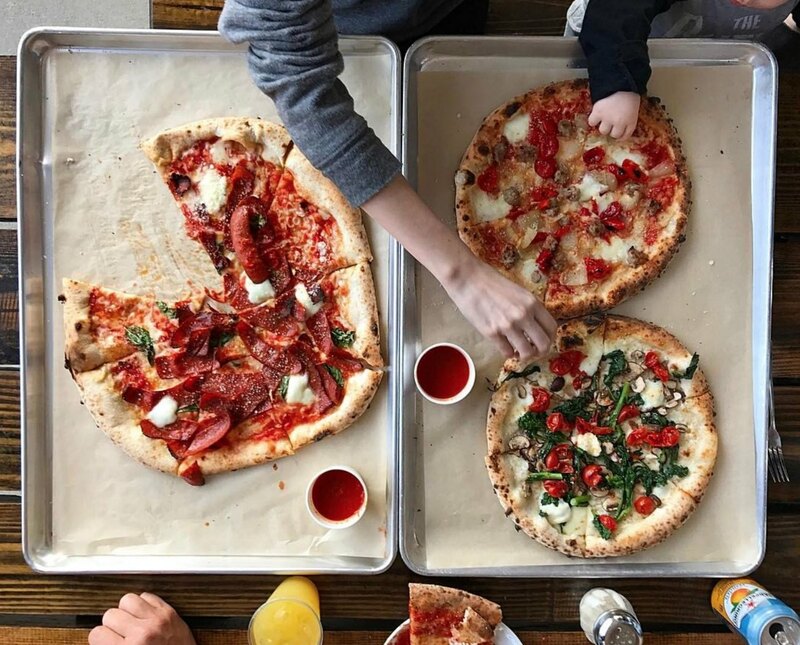 Owner Juli Ghazi keeps it pure with thoughtfully sourced ingredients from local farms, including organic flour milled in North Carolina and toppings from local, sustainable and/or organic farms. They’ve also got a unique gluten-free sprouted ancient grain crust, vegan cheese and plenty of meat-free toppings to keep everyone accommodated. Libretto’s has brick and mortar locations Uptown, near Montford and in Ballantyne, but Charlotte just loves something about food out of a truck. Follow them on Facebook for the truck’s weekly location schedule. 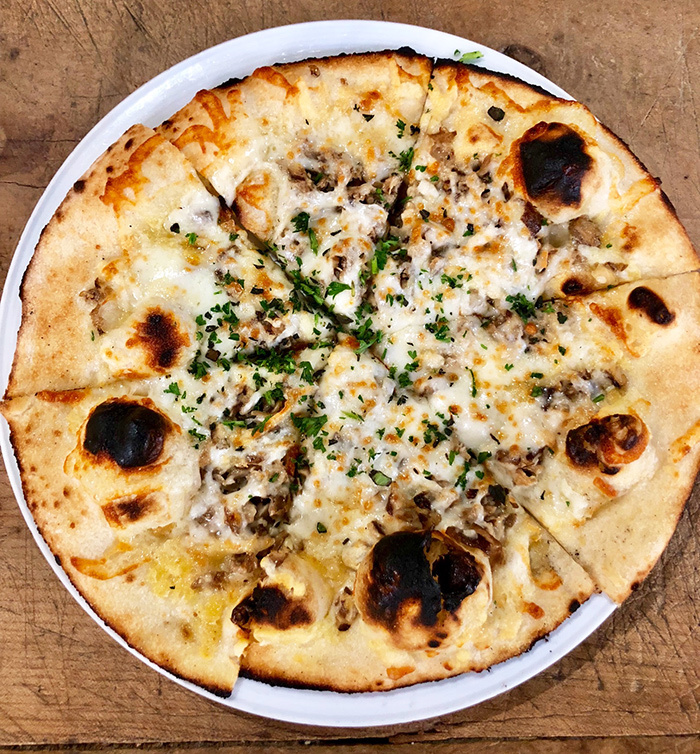 Unknown Brewing partnered with Seoul Food Meat Company’s Mark Sung to permanently park his new pizza food truck, Passport Dough & Co., at the brewery. The menu features pizzas made with unique potato crusts or traditional wheat crusts and unexpected, international-inspired toppings. The most popular toppings are Mexican (chorizo, queso fresco, cilantro, crema, tomatillo and guajillo sauce) and Lebanese (chicken shawarma, caramelized onions, tahini, harissa and parsley). This Charlotte classic has been running strong for 26 years, cranking out more than 1.3 million wood-fired pizzas so far. (Yes, they really tally them up and update the tracker above the oven every Saturday.) Catch the pizza buffet Monday through Friday from 11 a.m. to 2 p.m. You get unlimited pizza, pasta, salad and a drink for $9. 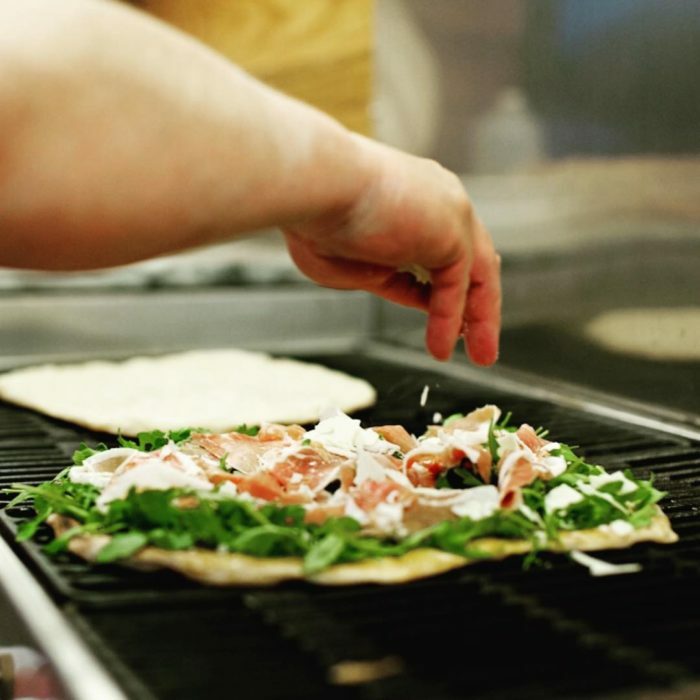 Zablong is Charlotte’s local answer to Chipotle-style, build-your-own pizza assembly lines. 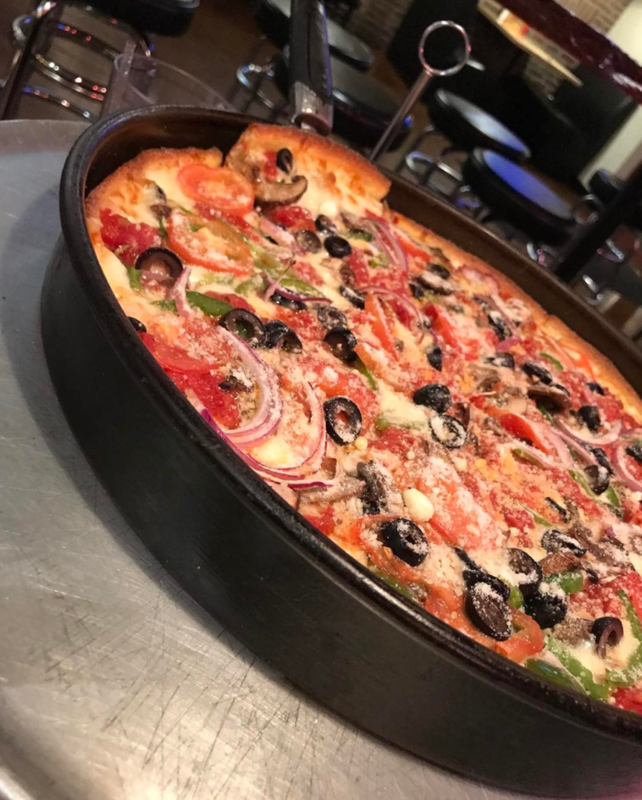 They mix things up with an oblong 12-inch crust, 9 different sauces and spreads, tons of toppings and a bunch of fancy finishes and oils. Get creative on your combo or stay safe with classic cheese. 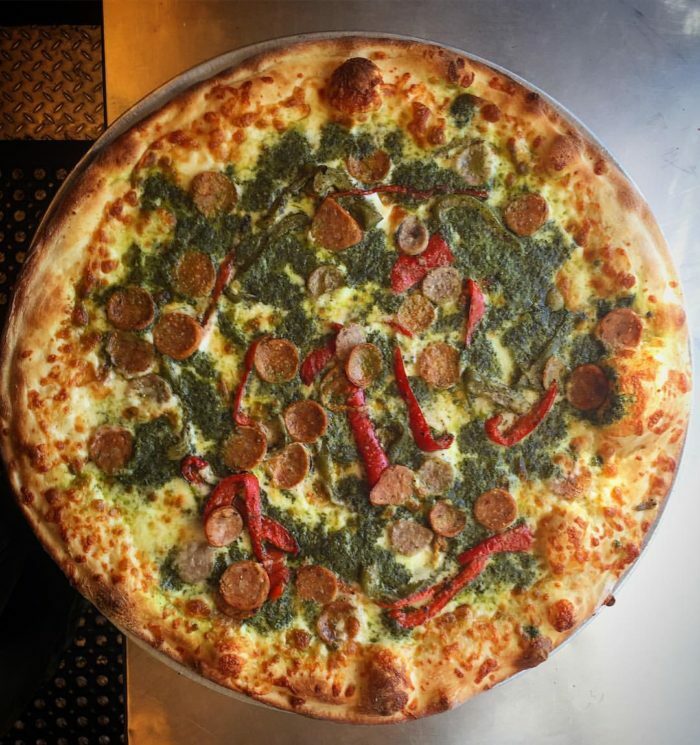 Go big or go home with this 18×18″ square thick crust pie topped with pepperoni and Italian sausage. They have traditional New York-style pizza too, but you need to give this one a go. 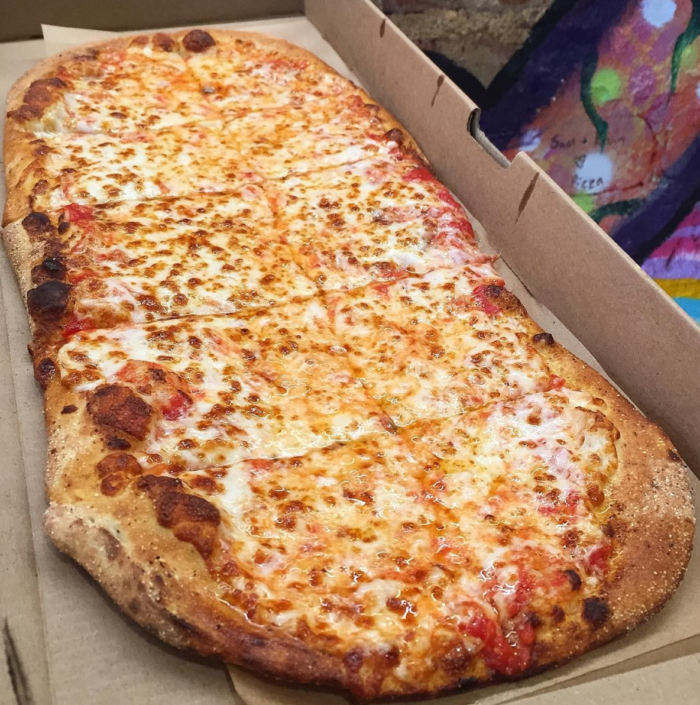 It only comes in one size (gigantic) so bring a crew. 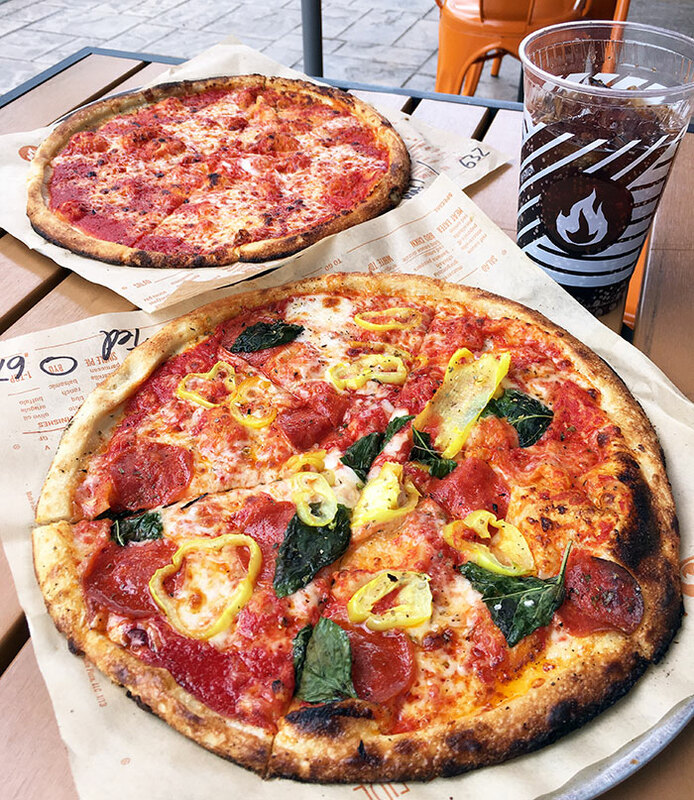 Designated a “snack” on the menu, these wood-fired pies are served with a pair of scissors for freestyle cutting at your table. 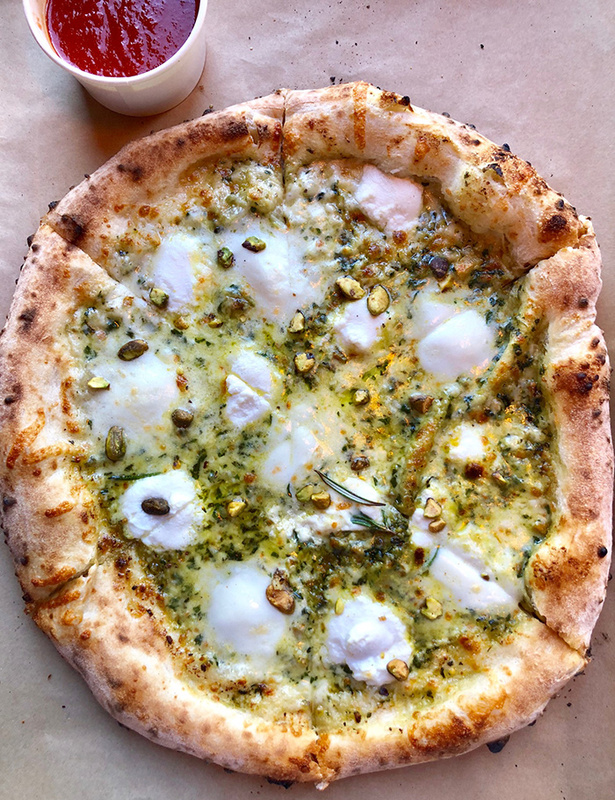 Although True certainly means business with its traditional wood-fired pizzas, the restaurant’s signature pie is a super thin crust brushed with olive oil and cooked to a perfect char on the grill. A perfect lighter option for the summer heat. Nobody does limited-edition pizzas quite like Pizzeria Omaggio. 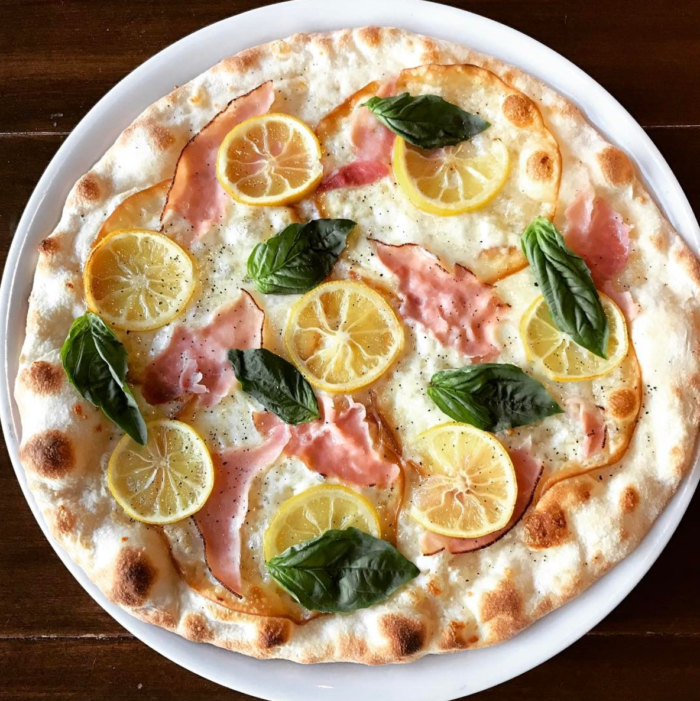 Their Pizzas of the Month feature unique toppings like smoked salmon, zucchini blossoms, roasted potatoes and poached lemons. The Charlotte classic has been serving up authentic Italian food for 26 years. 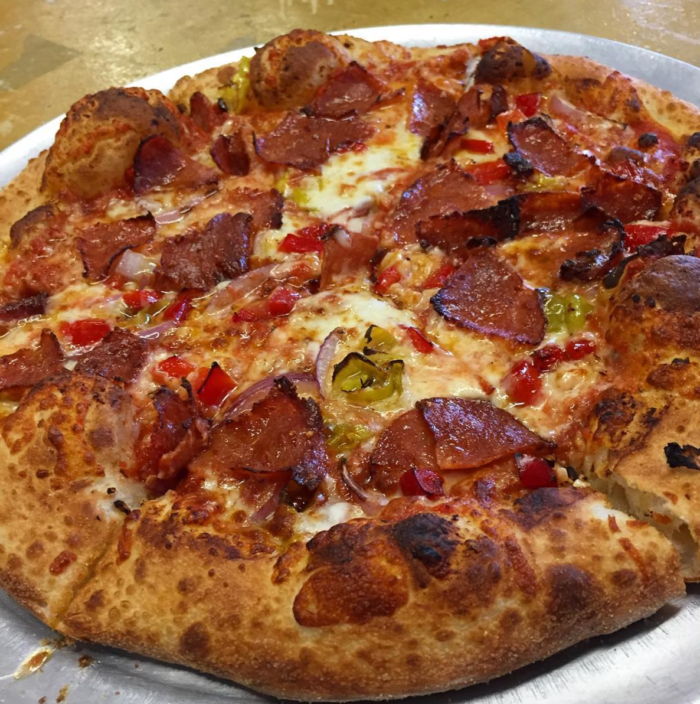 Their pizza is New Haven style with a thin, bubbly crust cooked in a wood-fired oven. Earlier this year, Agenda readers named Zio the #1 most underrated restaurant in Charlotte. And they’re right. 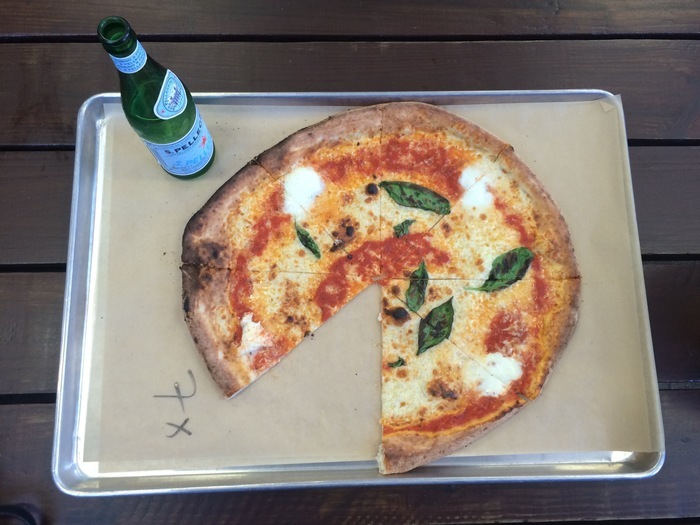 The family-friendly spot with a romantic garden patio flies way under the city’s pizza radar. Team Agenda recommends a cheese pizza as an appetizer before diving into a pasta entree. YOLO. 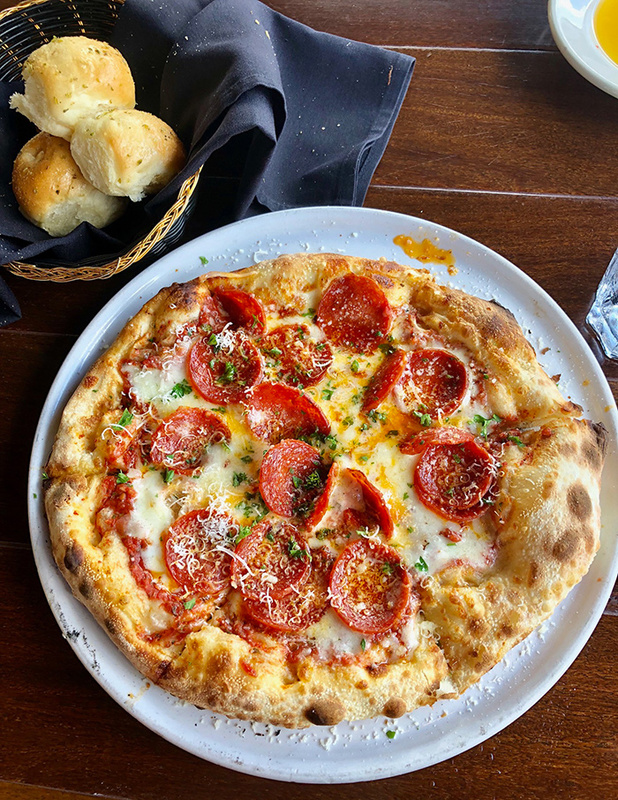 The 30-mile trip north to Mooresville is worth it for the gorgeous Naples-style pizzas at Aliño. 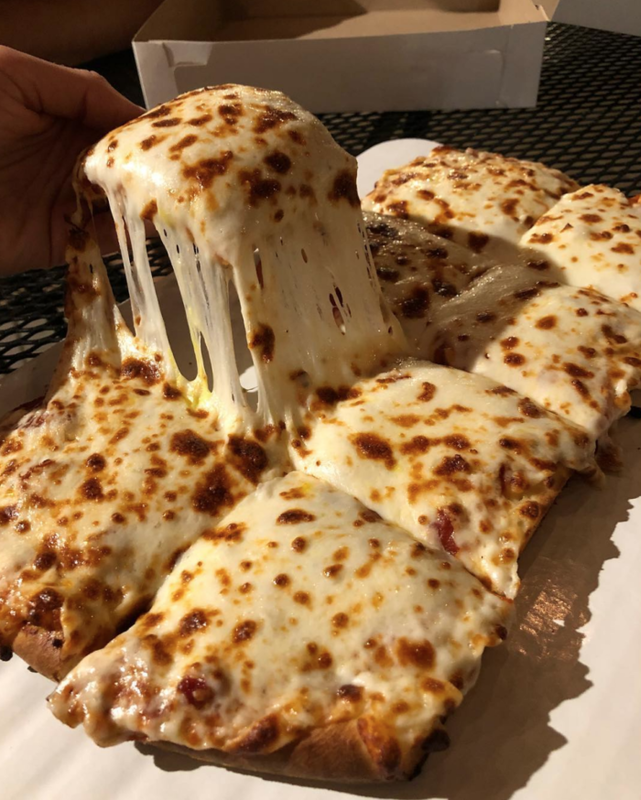 They do one thing and do it extremely well with a dead simple menu of nine pizzas available in one size only (16 inches) and a few salads and desserts. 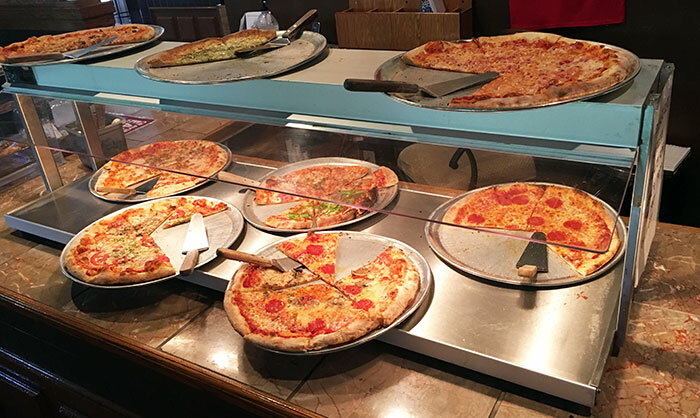 Order at the counter, grab a seat at the long, cafeteria-style tables and await your pizza. Go with Rooster’s famous mushroom pizza of their roasted chicken pizza. 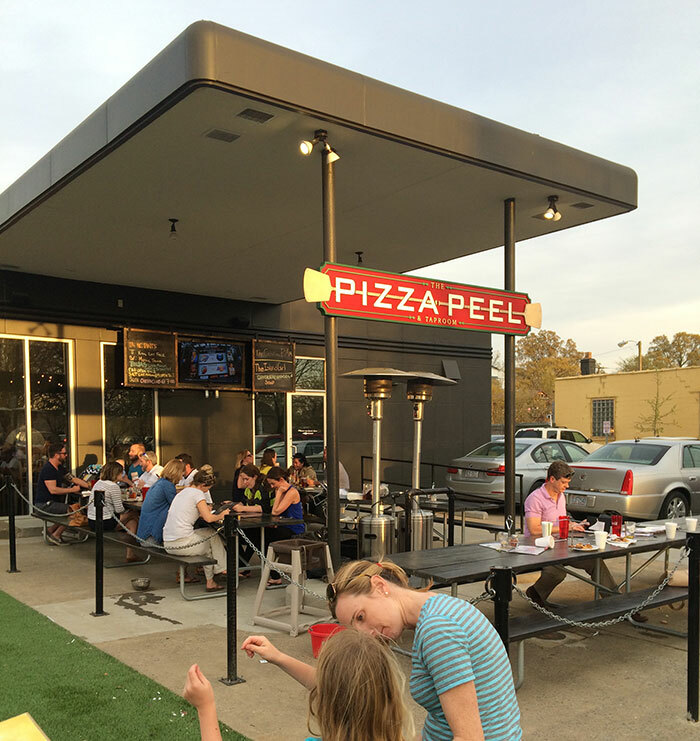 Outdoor seating and a spacious astroturf lawn at the Plaza Midwood location make for a great place for kids to run around. Plus, kids 12 and under eat free every Tuesday at all three locations. 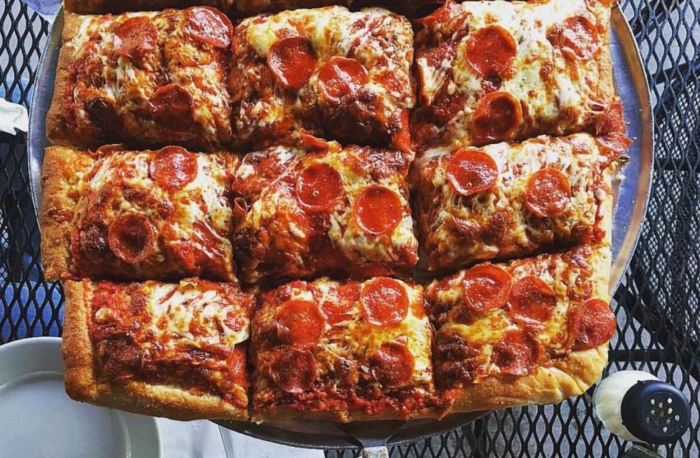 Meet the king of assembly line pizza chains (and not just because LeBron James is an investor). Fresh, fast, wood-fired (no conveyor belt oven) and only five bucks for plain cheese. What’s not to like?